Discovery : He was discovered at the 2006 S.M. Academy Casting. Experiences : Onew collaborated with Lee Hyun Ji, former member of project group Banana Girl, for his song "Vanilla Love"
Discovery : He was discovered at the "2005 S.M. Casting System". 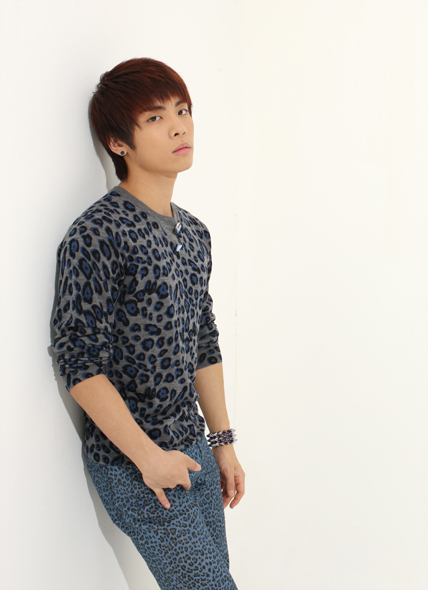 Experiences : Before debuting with Shinee, Jonghyun sang a duet, "Wrongly Given Love" (交错的爱), with Zhang Liyin for her debut Chinese album 'I Will'. 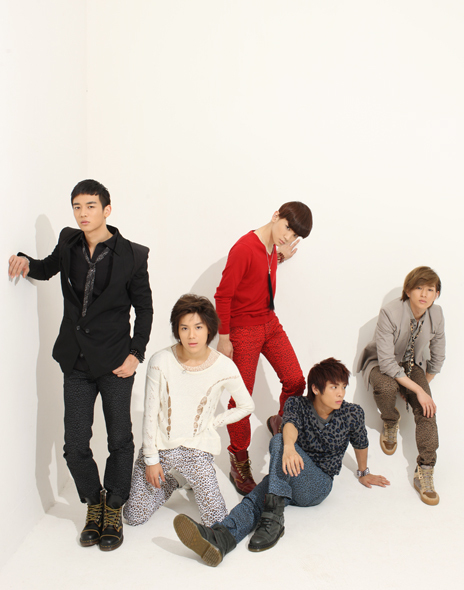 He also debuted under one of SME sub-group which is consist of four members called SM The Ballad. Position : Main Vocalist, one of the two Rappers and is considered one of the two Lead Dancers of the group. Specialty : He was a gifted varsity water-skier at Dae Gu Young Shin Middle School. Discovery : He was discovered at the "2005 S.M. National Tour Audition Casting". Experiences : Before debuting with Shinee, Key appeared in Super Junior's Wonder Boy music video as an extra dancer. Key was featured in label-mate Xiah's solo "Xiahtic" in TVXQ's concert, 2009: The 3rd Asia Tour Mirotic, in Seoul, Korea. In 2010 Key was featured in the song "치유 (Healing)" on label-mates TRAX's first mini album "Trax Mini Album Volume 1". Later, it was also announced that Key would have a small part in Girls' Generation's song "Hwaseongin Virus (Boys & Girls)"
(Korean: "화성인 바이러스 (Boys & Girls)") from their second studio album Oh!. Position : Sub-Vocalist and the other Rapper of the group. Discovery : He was discovered at the 2006 S.M. Casting System. Experiences : Before debuting with Shinee, Minho modeled for Ha Sang Baek's "Seoul Collection F/W 08-09" in March. Minho has also written several raps in their songs. He has appeared in Girls' Generation's music video "Gee"
and featured in VNT's debut music video, "Sound". Minho is also a permanent cast member in KBS's Dream Team Season 2. He also debuted as an actor on November 20, 2010 in a KBS Drama Special, entitled Pianist. Position : Sub-Vocalist and the original Lead Dancer of the group. Discovery : He was was discovered at the "2005 S.M. Open Weekend Audition Casting".